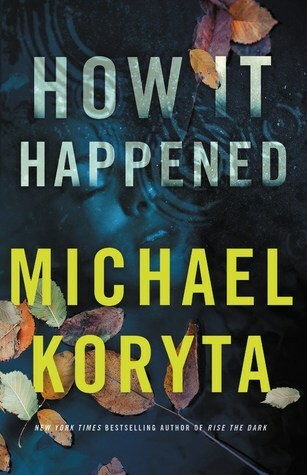 This entry was posted on Tuesday, May 15, 2018 and is filed under Book Review,Fiction,How It Happened,Michael Koryta,Murder,Mystery,Summer Reading,Suspense. You can follow any responses to this entry through the RSS 2.0. You can leave a response. Shazam! You've convinced me that I need this one, but I love the idea of paranormal thrillers so I'm adding this author to my library list. I’ve yet to read one of his books that I didn’t enjoy! I actually thought this was a debut! I didn't realise how prolific he's been -- and this sounds *so good*. It really is a great one. He’s definitely an author worthy of more attention. There were certainly some great creepy moments! This sounds really interesting and creepy, goes onto my maybe list! The creepiness lies in the fact that there are no supernatural elements. I’m much more terrified of things that can actually happen! It's interesting to see the switch from this one being touched with the supernatural elements to it being about being haunted with real life problems and situations. It must make this novel a lot more serious than his other works and a bit more chilling! Definitely more serious and more terrifying!